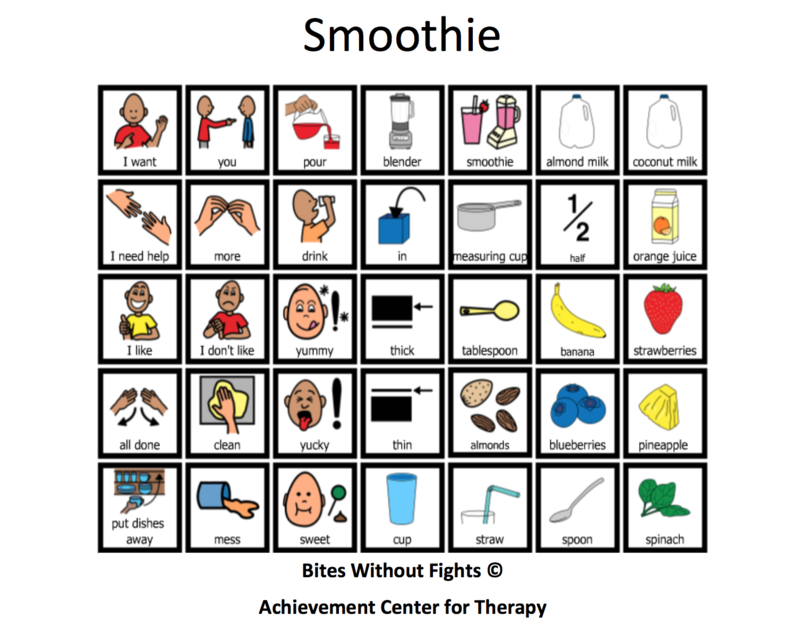 A Picture Exchange Communication System (PECS) can be a very useful tool in feeding therapy, especially for nonverbal children. It provides picture boards that parents can download or create and use as games to engage children in planning and preparing meals. The boards can be made into games or social stories that both entertain and educate children. Families with more than one child can create a team approach to the feeding therapy, by engaging siblings in the creative process. And, frankly, the kids probably have more technology skills, so it will make the process quicker, too. The Internet has lots of boards available, many of them at no cost. Parents (or siblings) can find pictures and even recipes to get the system started. It is important to laminate the boards, to make them more durable and cleanable. We’ve all seen well-used cookbooks. You can identify the favorite recipes by the stains on the pages. Laminating the PECS boards will help prevent that mess. Parents can start setting up social stories with the PECS, and encouraging their children to use it as well. The children can add to the story, and share their perspectives. Nonverbal children will also see this as a useful communication tool. children the chance to see and hear pictures simultaneously. This will help children retain the information communicated by the pictures. Generally, children are more likely to eat food when they get involved in planning and preparing it. 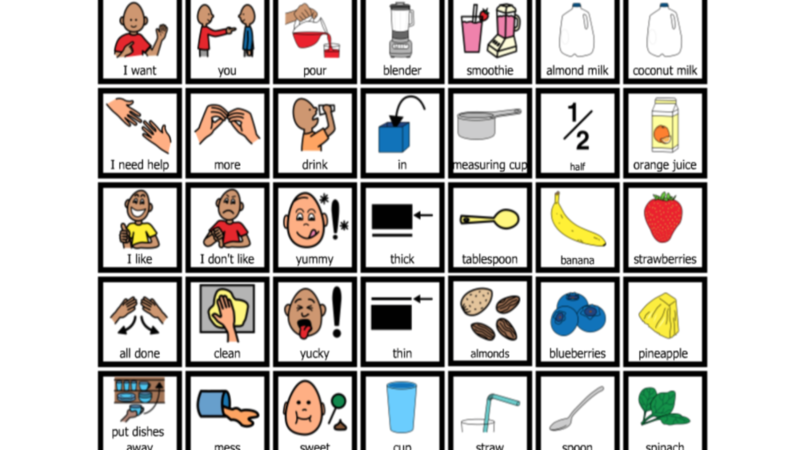 The PECS will allow nonverbal children to express their food preferences, determine the proper sequence in getting the meal ready and eating. With the right encouragement, families can expand the board to cover cleanup!